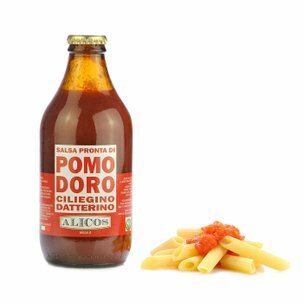 Typical Sicilian pesto with a taste of the Mediterranean, which exalts the particular flavour of capers , which is balanced out by the sun-dried tomato. Ideal for adding an extra touch to your recipes! 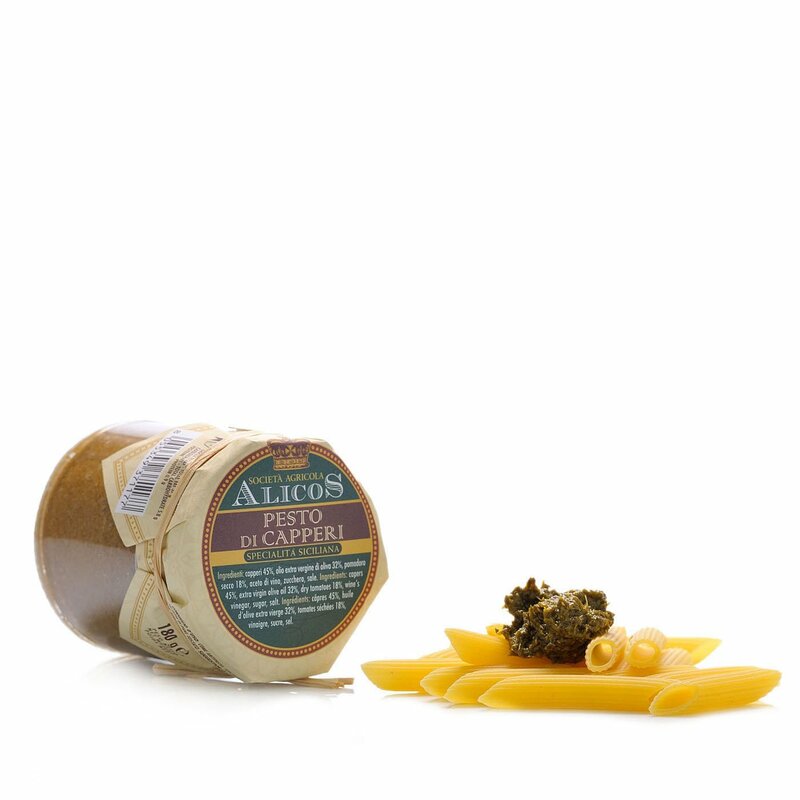 Ingredients Capers 45%, extra virgin olive oil 32%, dried tomato 18%, wine vinegar, sugar, salt. For more information on product labels, please contact our Customer Service department. The information on the labels of the products may vary for reasons beyond our control, therefore, there may be discrepancies between the information on the site and that on the products delivered. Please always check the information on the product before consumption or use.